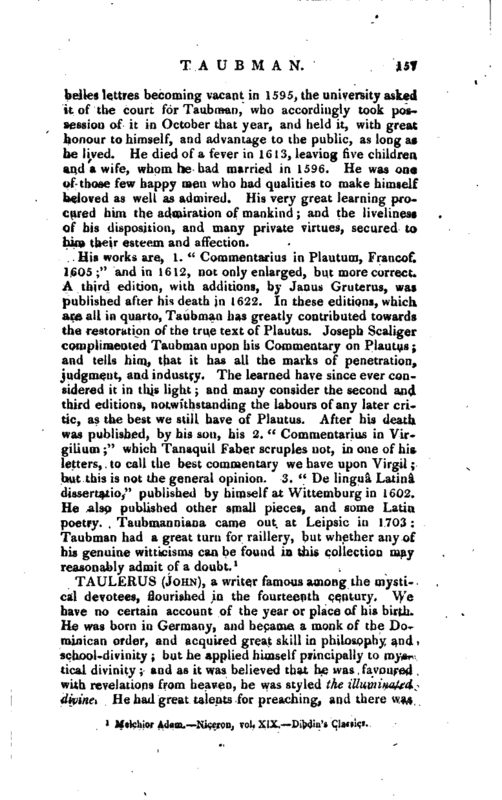 , an eminent German critic, was born at Wonscisch in Franconia, about 1565. 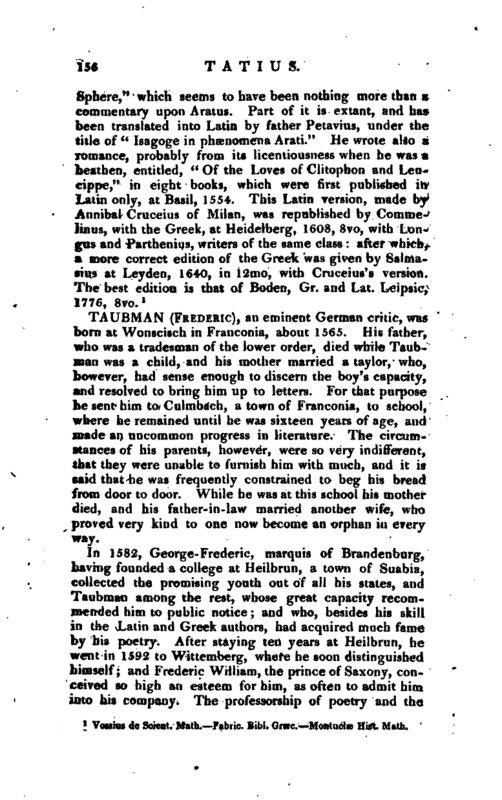 His father, who was a tradesman of the lower order, died while Taubman was a child, and his mother married a taylor, who, however, had sense enough to discern the boy’s capacity, and resolved to bring him up to letters. For that purpose he sent him to Culmbach, a town of Franconia, to school, where he remained until he was sixteen years of age, and made an uncommon progress in literature. The circumstances of his parents, however, were so very indifferent, *hat they were unable to furnish him with much, and it is said that he was frequently constrained to beg his bread from door to door. While he was at this school his mother died, and his father-in-law married another wife, who proved very kind to one now become an orphan in every way. Melchior Adam.—Niceron, vol. XIX.—Dibdin’s Classics.